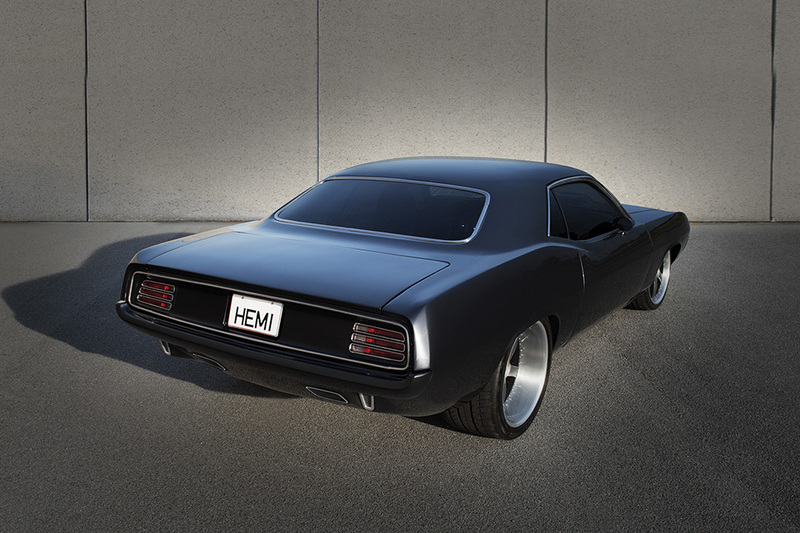 With a Fuel Injected Hemi, Airride suspension, Wilwood brakes & custom design inside-out, this car isn't just a supercar. It's a supercar with a soul. 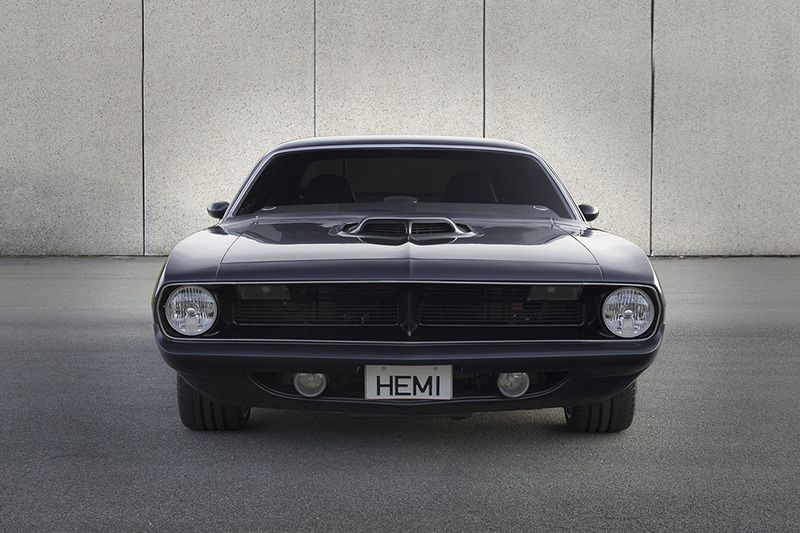 The 1970 Plymouth Barracuda is one of the best looking muscle cars ever built, but to keep it at a low price, Plymouth had to make the usual sacrifices when making a car for the assembly line. 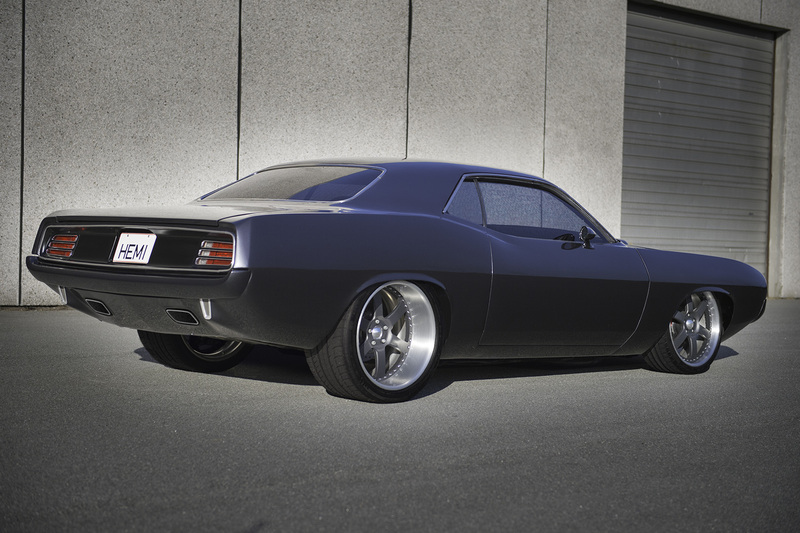 This Cuda was custom built to undo those sacrifices, and the spectacular beauty of the Cuda body has come to life as was originally envisioned. Door handles, side marker lights, keyholes, valance breaks and the grille have all been removed and smoothed out. It has been painted with a charcoal grey paint with a tiny bit of white pearl added. The front grille and rear area has been painted in a matte black to enhance the pulled in look. All visible metal has been brushed to a satin finish not to steal attention Elastomeric bumpers on both the front and back are painted the same color to really blend in with the body. 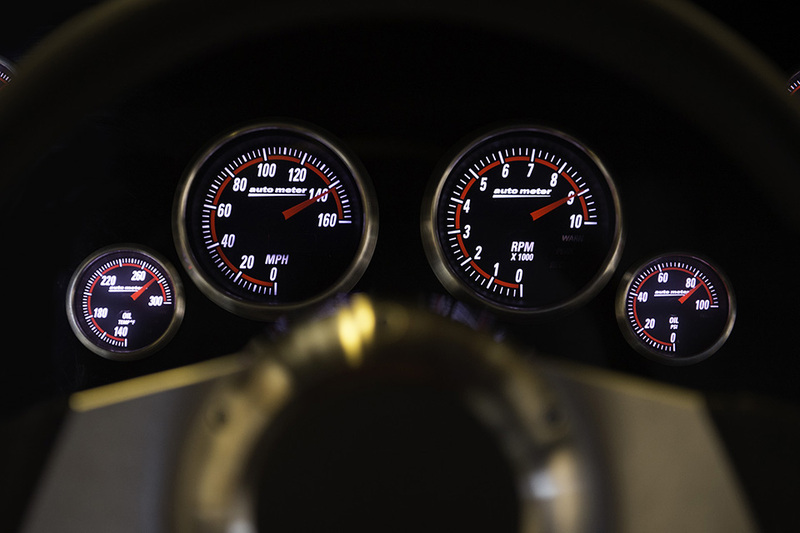 Getting from 0-60mph (0-100 km/t) in less than 3 seconds is not an easy task, and doing it with a car you'd also want to cruise, doesn't make it easier. 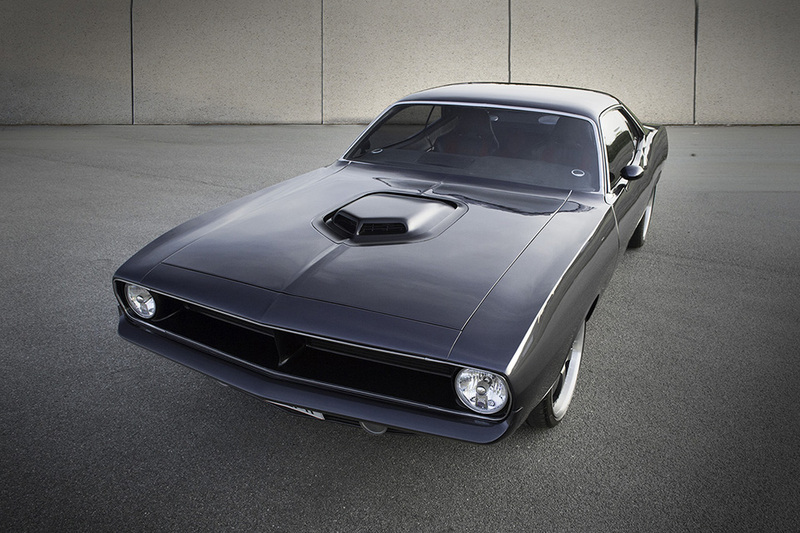 The whole powertrain for the Cuda is perfectly fitted together for power and reliability, while reducing weight by almost 300lbs in the process. 572cid (9.4 liter) all aluminum engine built by For Hemis Only in Canada. 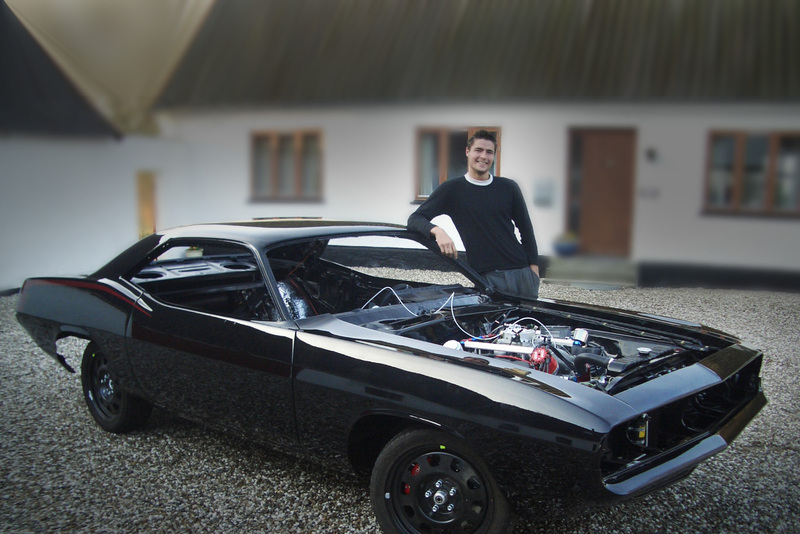 A Keith Black block with StageV Hemi heads and a BigStuff3 injection system, delivering 705HP and 950NM. A 727 automatic trans built by Bowler and fitted with a 2000hp Gearvendor. 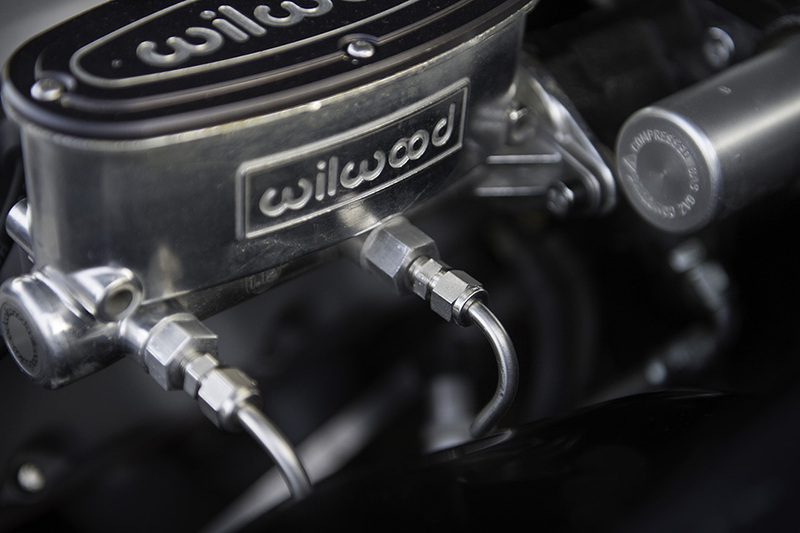 This gives a 6 speed package to let the engine perform in its best rpm range all the time. Very light aluminum driveshaft by IEDS coupled to a Chris Alston Fab9 rearend with a Detroit True-Trac differential, helps getting all that power to the ground. Nothing brings you closer to that full blown driving experience than braking hard just before turning through a corner at high speed. 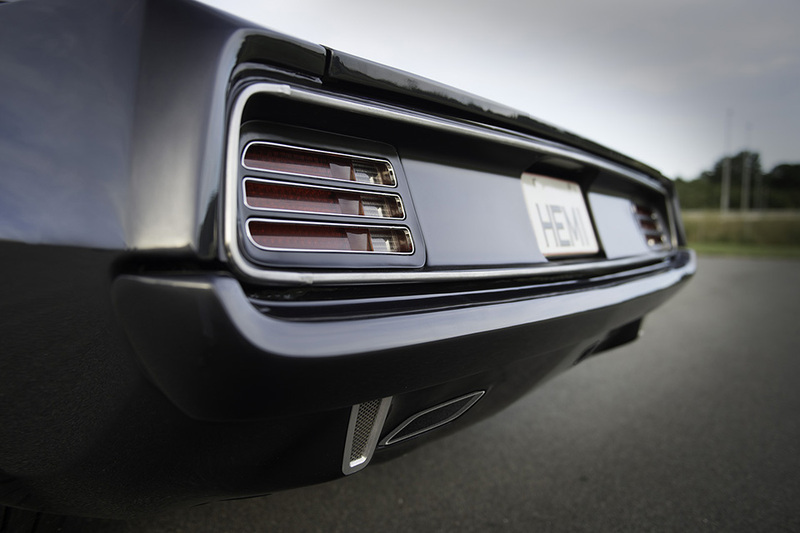 The Cuda features a modern performance suspension, and a reinforced body that makes it capable of speeding through corners while staying on the road. Equipped with a full airride system from ridetech, you are sure to get the best handling available, while maintaining adjustability. It can take this car from laying on the stomach, to clearing 4" obstacles. A double wishbone setup on the AlterKtion by Bill Reilly with rack & pinion steering gives you direct contact with the road. The rearend is kept in place by a triangulated 4-bar setup. 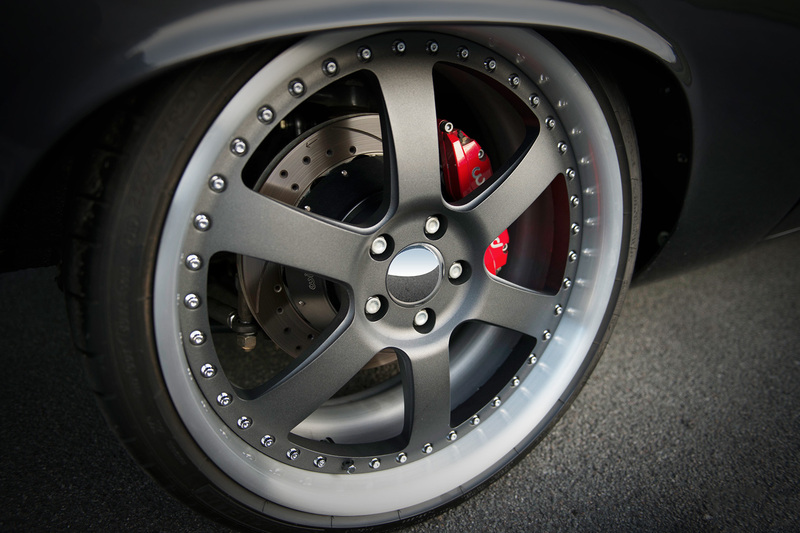 13" ventilated, slotted & drilled rotors on the front with 6 piston calipers, and 12" with 4 piston calipers on the back from Wilwood handled by a hydroboost power-brake let's you stop on a dime. 20" Boze Forged 3-piece wheels, 8.5" wide front and 12" back, which are swept in Michelin PS2 tires which are 235/35ZR20 on the front and 335/35ZR20 on the back, gives you the grip you need! 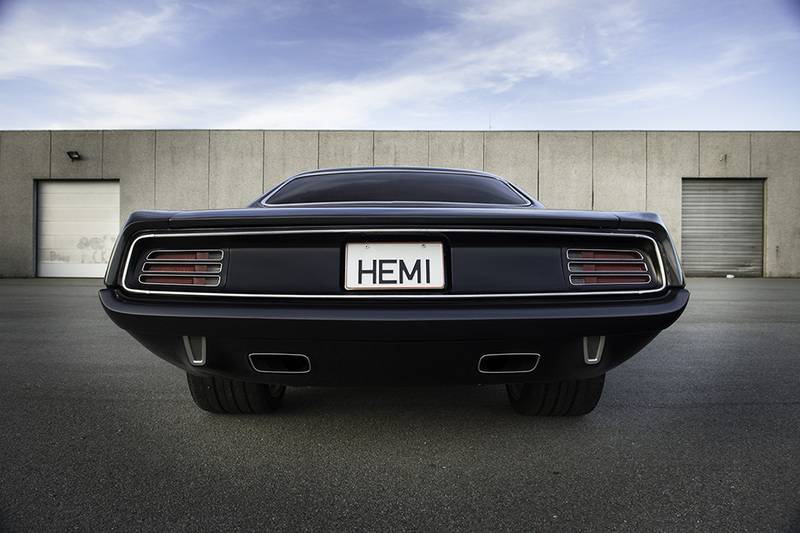 Technology should not get in the way of the driving experience, but rather be there as a silent companion. 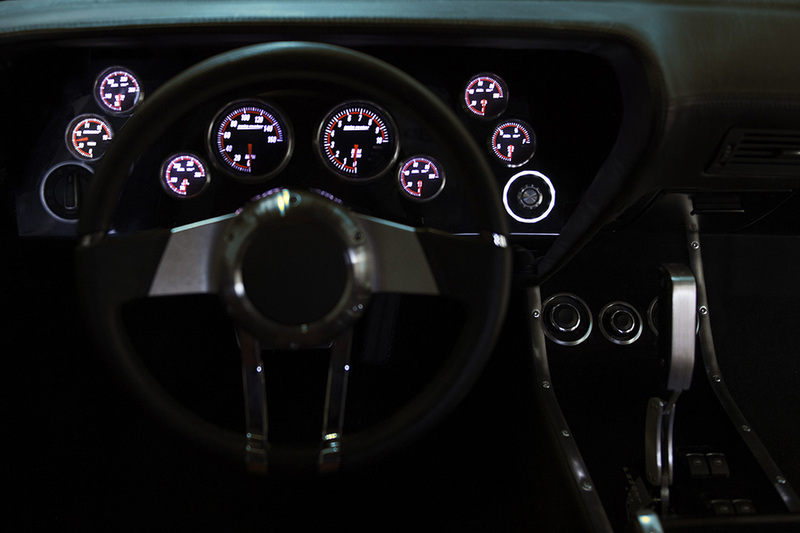 Inside the Cuda is a setup devoted to user-friendliness, and nothing does that better than an entertainment system controlled by an iPad and a key-less ignition/access system. 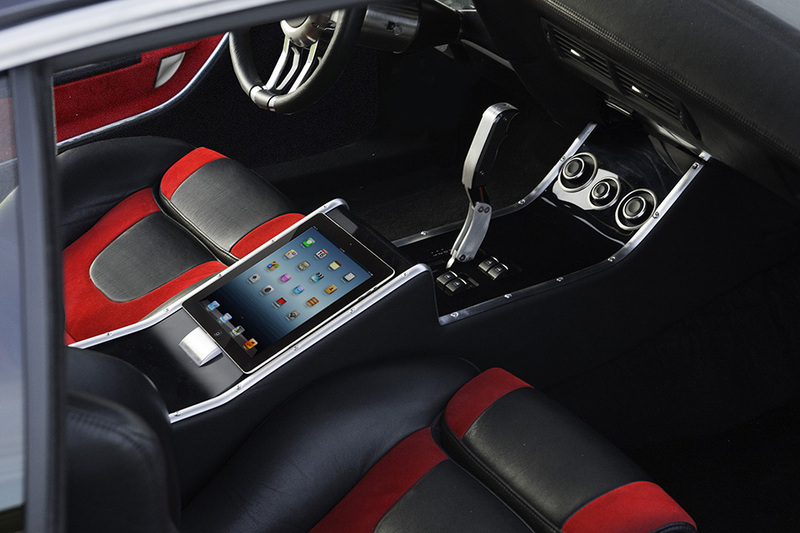 An iPad is conveniently mounted for navigation, do lap timing or play music through the Bang & Olufsen speaker system - with a total of 13 speakers. The iPad is detachable if you're taking a break from driving, and want to surf the web. Electric Recaro sport top-line seats will tuck you in when you're going through that hairpin turn. Get cooled down by in-seat ventilation and air-condition or roll down the power windows to get some fresh air. Never worry locking this car - handles have been removed, and an RFID system has taken over. Just wave your hand* An rfid chip will need to be injected between your thumb and index finger. Any piercing shop can do this. If you don't want that you can use the supplied key/rfid tag. over the rear windshield and the door pops open. To start the engine press that big stainless steel button once. 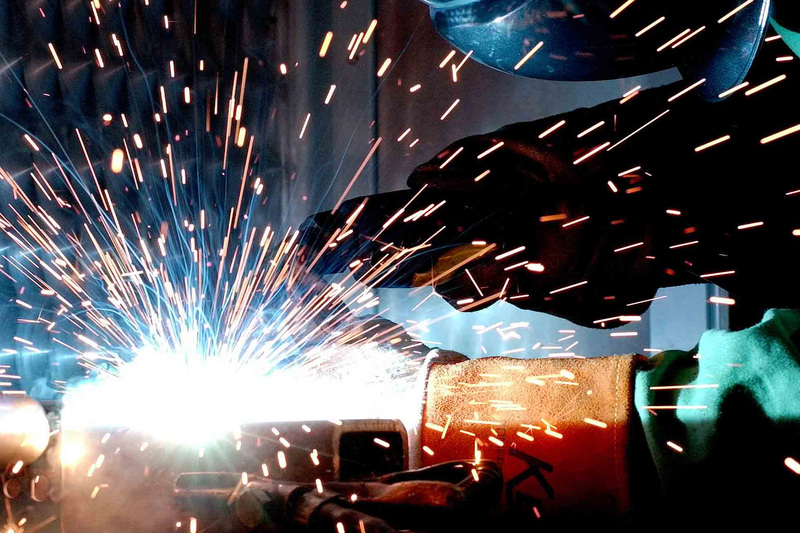 All new parts have been shaped, and body work has been oxyfuel welded by the amazing guys at Hand Made Cars. 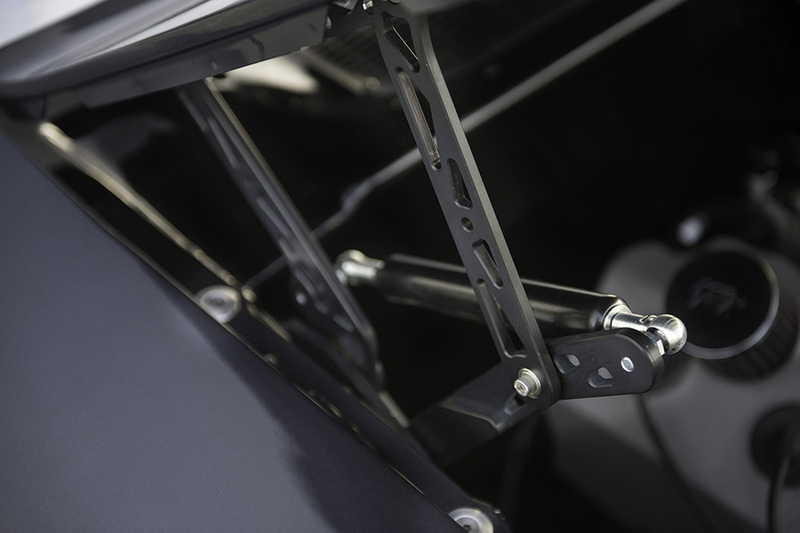 Reinforcements have been put in place between the front and rear frame to remove flex and give the car full frame rigidity. After all metalwork was done, the full body was galvanized, and the undercarriage has been treated with a bedliner by LineX Denmark. The rest of the body was treated with a 2 part epoxy, before paint body work was performed. I am a graphics designer/developer by profession and a free time Automotive designer. 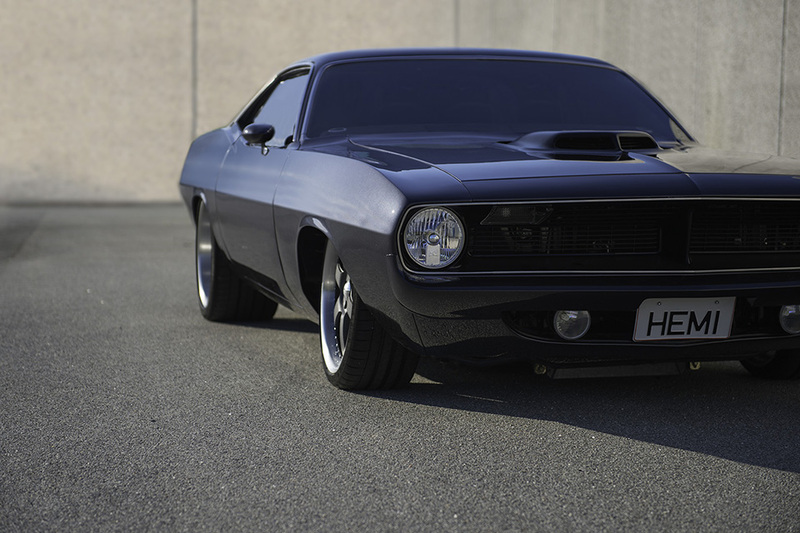 I have been working on this car for the last 7 years to reach a vision I've had since I first fell in love with the Cuda. 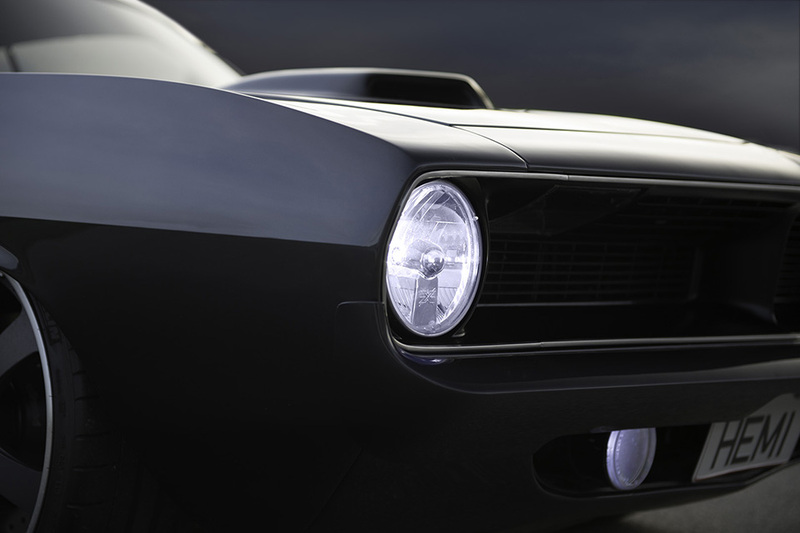 Transforming a 1970 Plymouth Barracuda to a modern-day supercar is not an easy task and a lot of thought has gone into doing this the right way.